Performance cruiser from Frers, built for offshore long distance cruising with a scheel keel with high ballast displacement ratio. The hull is hand laid solid glass with no core. 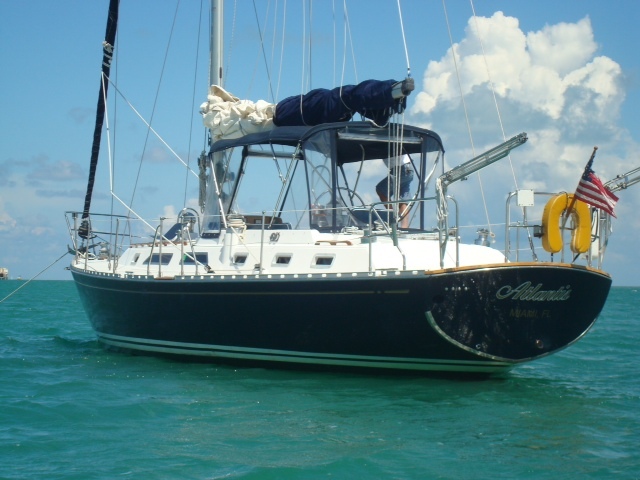 Two cabins, two heads, Yanmar diesel, shoal draft model 5’6″ draft, Crusair AC 2 units, 16k each. Don’t miss this great opportunity!